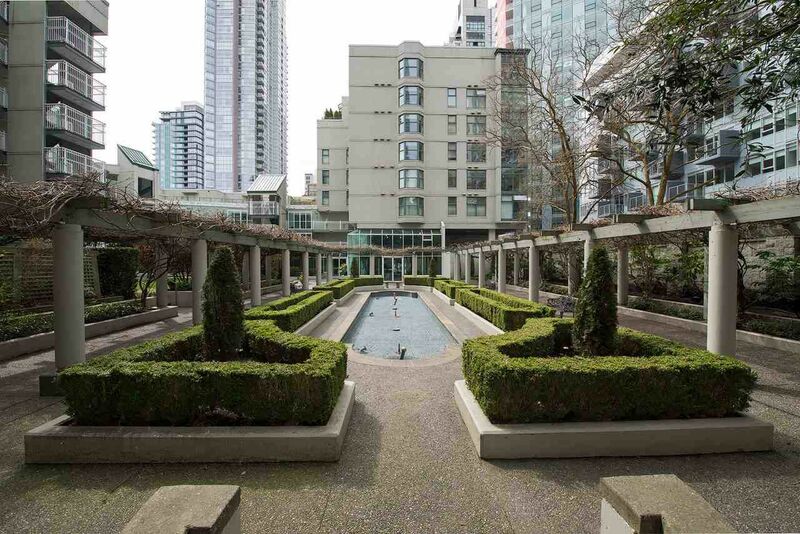 Stunning one bedroom & den or optional two bedroom corner suite in the the desirable Pacific Point in Yaletown. The spacious open layout with an abundance of windows offers both a sweeping city scape and natural light though out. Maple engineered wood floors, sleek kitchen cabinetry with ample quartz counter space, s/s appliances, built in wine cooler and functional bar counter for casual dining. House size furniture fits perfectly including a dining table for 8! King size bedroom with closet organizers for optimal storage. With a walk score of 95, this is Yaletown living at its finest.